What a fantastic day, great racing, great food, not so great weather and the only casualty a flying gazebo which fell victim to the Southerly experienced in Wellington on Sunday. 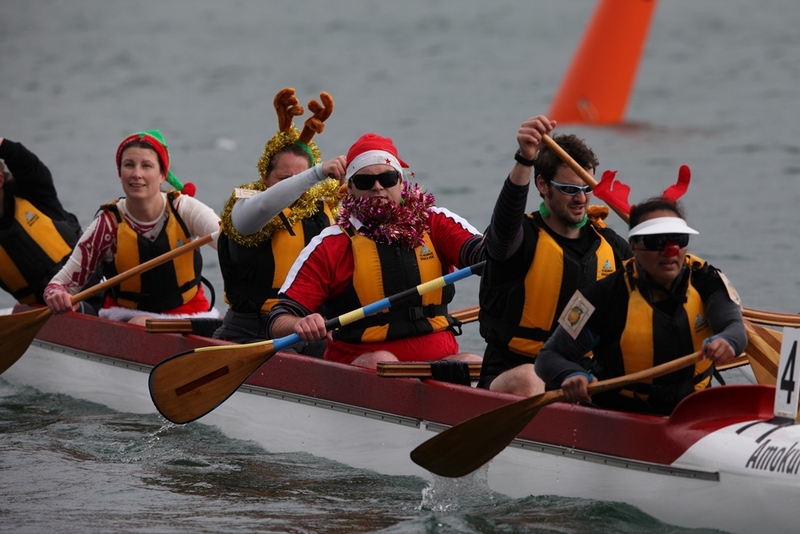 A huge thanks to all those who took part in this fantastic initiative by New Zealand Post and Waka Ama New Zealand. There were 7 clubs in the Wellington region who undertook to train 11 teams of paddlers over the space of approx 4 weeks and they all did a fantastic job. 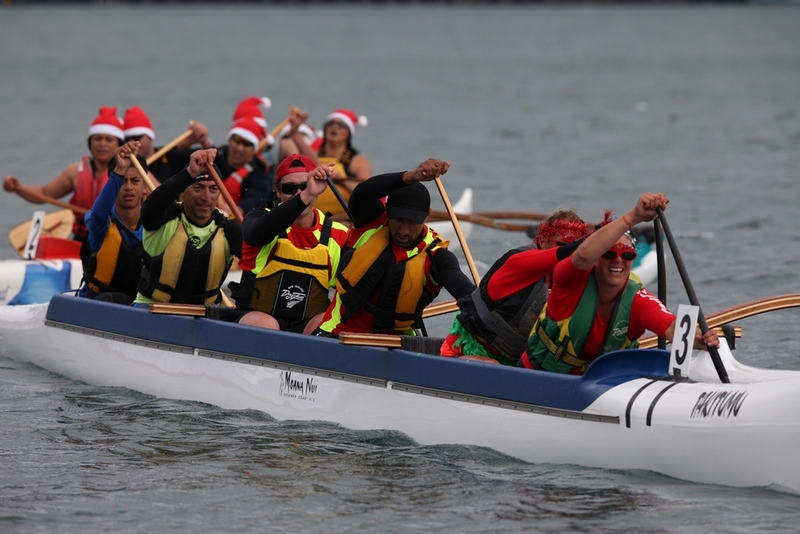 Special mention must be made to all our volunteers on the day but particularly to Tunui a te Ika Waka Ama Club who turned out in force on their home turf to assist. 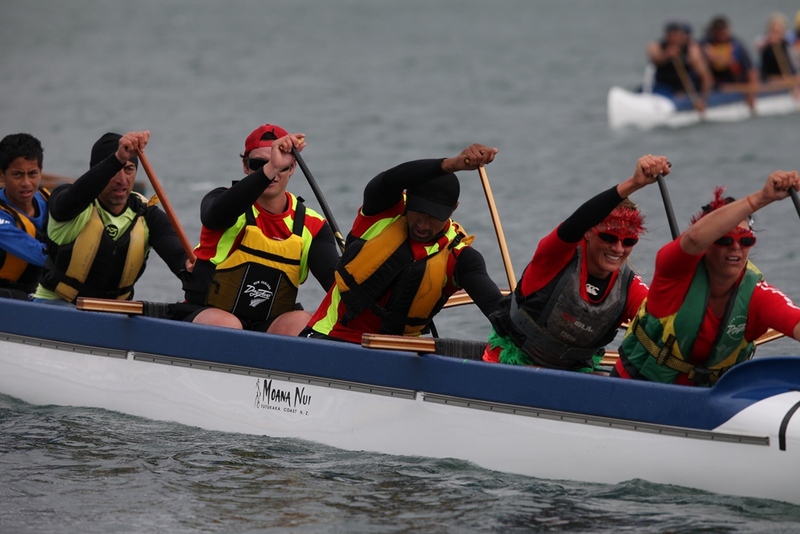 Thanks to Tai Tonga 41 club members made the trek from Evans Bay in 25 knot Southerly and Porirua Canoe and Kayak Club supplied two waka along with Hikoikoi Sports and Culture Club. Other key positions were Chris Fox, Race Director and Coordinator, Marinna Millanta-Lowrey and Paula Dixon who managed the finish line and results and Karmen Wallace and team who did a fantastic job as always on Loading Bay. Thanks also to Royal Port Nicholson Yacht Club and Heretaunga Boating Club who supported us on the water. 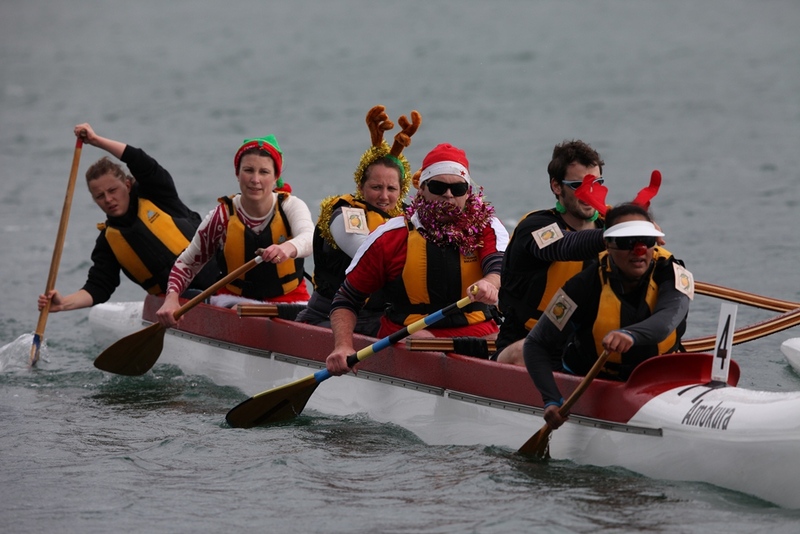 Well done to all the NZ Post Group teams and we hope you continue your waka ama journey. 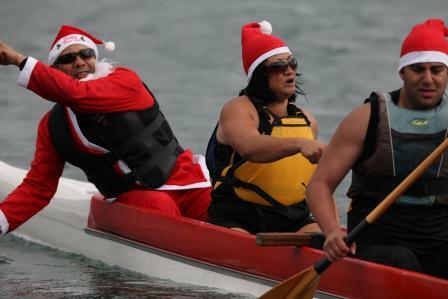 Hoe Tonga Waka Ama wishes you all a safe and merry Christmas.